Overshop -- When I was in the store and I thought of something, like TP, I bought extra. Butter was on sale for 60c less than normal a pound and since the store was around the corner I eventually got 10 pounds of butter, even though there was a 2 pound limit per checkout. Easy Entertaining -- I learned from a friend who is 25 years younger than me: To have an easy party have everyone bring a plate or two of appetizers. We had one get together like this and everyone had food they liked and no one had to work too hard, especially not me. Delegate (verb) -- Get everyone to help. They may look like they are busy on their computer or phone, but if you ask nicely they will set the table, unload the dishwasher, or make a salad. It might not be done exactly the way you would do it, but, hey! If the dishes get into the dishwasher dirty and then into the cupboard clean because someone else did it, I can spend a few more precious minutes with my grandchildren! Menus, menus, menus -- making menus for 3 meals a day for 10 days for anywhere from 9 - 21 people and making a comprehensive grocery list is a job of about 2 hours for me, but it is two hours well spent. I checked every recipe, the fridge, freezer, and pantry and bought everything I could in one enormous, expensive shopping trip. But everyday I could just look at my list and know what I was going to make and that I had everything to make it. Lists, lists, lists -- I also noted what fresh things might need to be bought for each day and could send someone to the store early in the day while everyone was still organizing themselves. Two caveats: this did not mean that everything went according to plan--some days got rearranged, but it's easier to rearrange than come up with an idea, and this did definitely not mean I remembered everything. There were also lists of favorite foods, special activities, times of events, photos I wanted--basically everything so my brain had a holiday, too. Cook ahead -- two pans of enchiladas made ahead of time and in the freezer, meant dinner for one day only needed to be defrosted and heated. That means I could spend the afternoon out doing something even more fun than cooking. 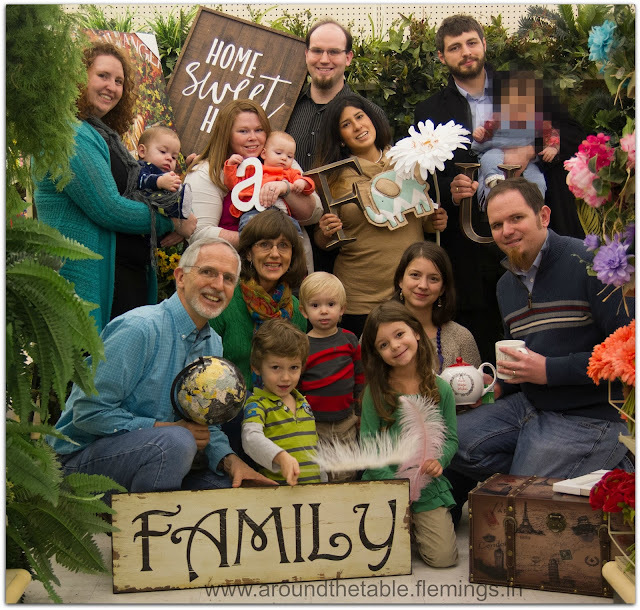 Change the venue -- I like having the holidays at my house, but just having arrived back from a ministry trip India we asked my mom if she could host Thanksgiving Dinner and we would do most of the work. Then we did Christmas at our house. Include everyone -- we invited the whole family. Some in-town, extended family, had their own plans or couldn't come to the activities we invited them to, but they knew they were loved and wanted. Don't include everyone -- Our in town family has an age range of 0-91. Sometimes the oldest generation just prefers a quiet evening at home rather than the controlled chaos of a houseful. It's actually a gift to them to not invite them to everything. We chose the main events and ones that would be a bit calmer to include them in. Some activities were grown ups only. Some were kid centered. Cherish the people -- I spent a day cleaning before everyone came, but after that I didn't fuss, just worked a little at keeping the clutter under control, after all this was the year we had three new grandbabies and there was lots of baby paraphernalia around the house. But next year they wouldn't be babies, so lets cuddle them this year! Take time out -- the "girls" all went out for coffee one day, an hour and a half of blissful conversation. The coffee shop had conversation questions on the table--and you know I love conversation questions! Those got us started, but we had plenty to talk about on our own. And we enjoyed it so much that we encouraged the guys to go out another day. They took a board game with them and had a fun time together. Be Progressive -- as in a moving dinner; I grew up living at least 1000 miles from my grandparents and only for four years did I ever live within an hour of any aunts, uncles and cousins. When we got married we moved to South America for 24 years, so this is the first time to have so many family homes in one town since our son married five years ago and lives in town and my parents moved here two years ago. So we did a progressive dinner. The plan was a salad at one home, main course at another, and dessert at a third. But one family got sick so we pared it down to two homes, and given the age of some and the cold weather, that was probably enough. Be flexible -- I am not a "go-with-the-flow" kind of person; it's just not the way I'm wired. (See "lists" above.) But when Christmas guests include six children five and under, three of whom don't have a year under their diapers yet, and all their parents, things are not going to go according to anyone's plans! So we don't sweat it. Enjoy! -- I am never happier than when I have my whole family around. Sometimes I just stood back and watched them all interacting, picking up each other's babies, playing games, and I thanked God. For more unique ideas to prepare for the holidays, click here for a Thanksgiving Challenge and here for a real life illustration of how much we have. Want to see more posts like this? 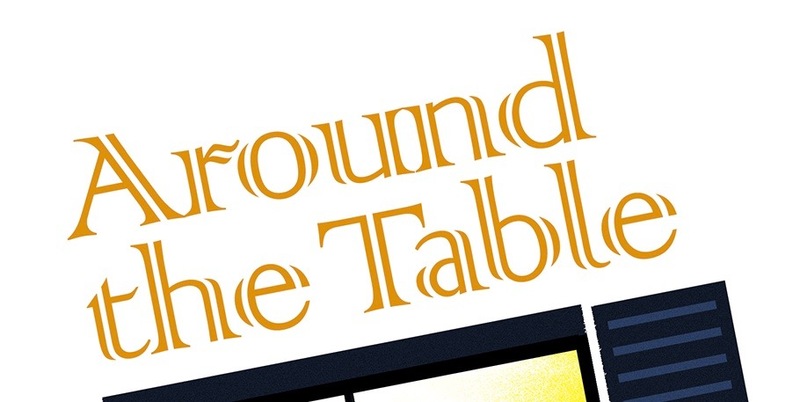 Like the Around the Table Book Facebook page. You'll keep up to date on every post and more! Do me a favor and please *like* the posts you see, comment on them, and share the ones you think are worth sharing to help more people see it and to help you see them all as well. Thanks! Very Helpful! The planning is huge, and the flexibility paired with it makes all the difference! I always procrastinate on the planning, but I'm always so glad I did it! Thank you so much for this - SUCH a good reminder! Thanks, Amber. You gave me a smile! 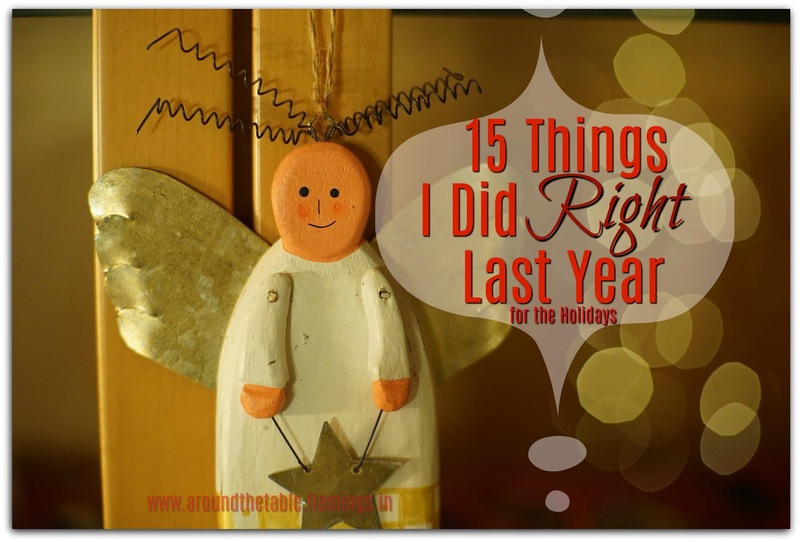 Lots of great tips here for making the holidays a little less stressful! Thank you! You sound like you are an amazingly organized person but also able to let go of the finer details and enjoy the people and the moment - a perfect balance. You are so blessed to have so many family members nearby and for them to all want to be together. I hope this year is just as special. Oh, Leanne, I am not either amazingly organized or laid back. But that is my goal. I am blessed to have family nearby, though we have one daughter and family on another continent. Thank you for your wishes. This is our year for Thanksgiving so Christmas will be "the old people" (average age 69, including my 23 year old daughter! ), but we try to make the most of it! I wish you happy holidays, too. Great ideas to make the holidays more relaxing and organized, Sharon! Thanks! What a lovely family you have! I enjoyed your tips as I often ahve mnay visitors for the holidays. Great advice, especially to involve others in the planning and executing and to be flexible. That's been my life lesson this past year--don't worry about what was "supposed to be." Happy holidays!